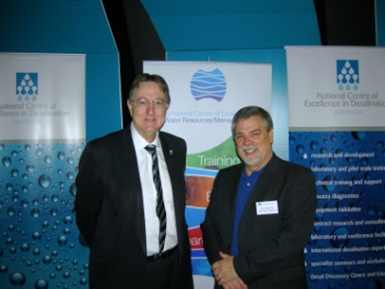 The controversial issue of desalination came under the microscope at a special workshop organised by ICE WaRM and the National Centre of Excellence in Desalination Australia (NCEDA) in Adelaide. 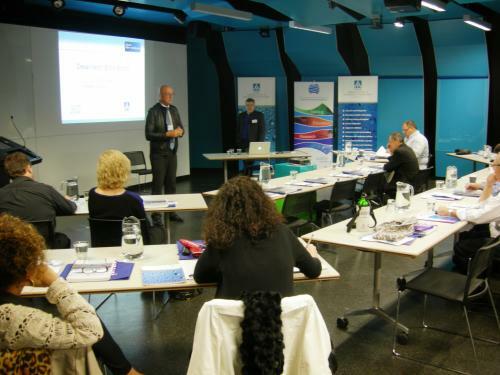 Twenty six delegates took part in the second GWI Desalination Short School – the first collaboration between the two Centres of Excellence – which featured presenter Tom Pankratz and was supported by SA Water. The technical course attracted a wide range of professionals from research, water and desalination backgrounds and covered desalination plant feasibility, pilot studies, commissioning, testing and post-completion issues with examples from the Middle East, Europe, Asia Pacific and the Americas. Further courses on desalination are in the pipeline.